ACCOMMODATION - Offering the only rooms with views of Uluru in Ayers Rock Resort, the 4 star Desert Gardens Hotel features welcoming rooms, locally inspired dining options and interactive arts experiences within an oasis of native gardens. Accommodation options are diverse from deluxe rock view rooms to shady poolside rooms all located under a canopy of towering gum trees and garden beds dotted with native flowers. 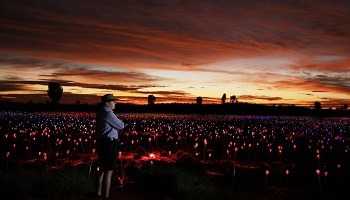 Field of Light Star Pass. You're welcomed at an exclusive dune top to watch the amazing transformation of colors as the sun sets on the horizon. Savour a selection of outback canapes with sparkling wine and beers as your host provides insights into the light installation that awaits you. 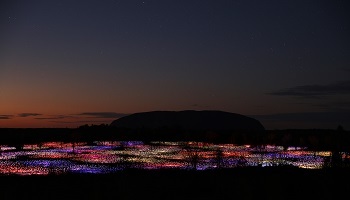 As the last rays of sun hit Uluru, splashing the rock’s façade with color, and darkness gradually falls, the 50,000 glass spheres gently come to life. Covered under a sky brilliant with stars, Field of Light beckons you to explore and lose yourself momentarily in the rhythms of colored light. Take in the vast scale of the installation one last time as you ascend the dune top for a panoramic perspective of the Field of Light. 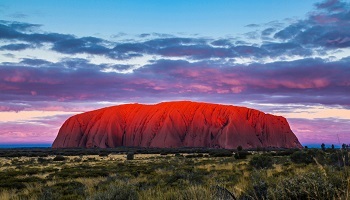 As the sun rises over the desert, walk around the base of Uluru. 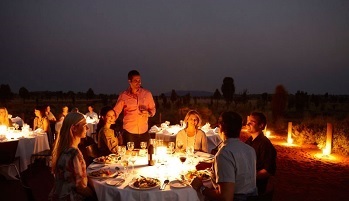 Enjoy a picnic breakfast and explore the most profound and culturally significant monolith in Australia. 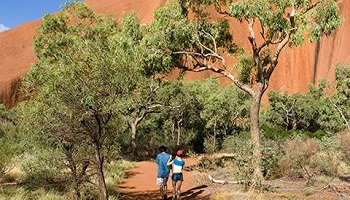 Visit water holes and rock art sites and embrace the culture and stories of the Anangu people OR In the afternoon visit Kata Tjuta – a place where unique floras and fauna thrive. 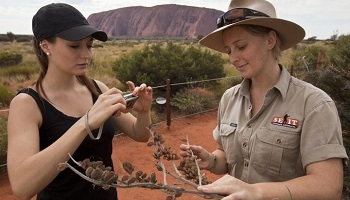 Learn about the cultural significance of Kata Tjuta as a sacred Aboriginal’s ceremonial site. Listen to the wind, wonder at the dome walls and embrace the spirituality of this amazing location. Courtesy shuttle transfer to airport. Certain black out dates apply on the accommodation and tour value add offers - check with your Aspire consultant. Seats are limited and may not be available on every flight. Hotels are subject to availability. All prices reflect a discount for purchases made by cash/wire transfer/check, please see terms and conditions for credit card payments. There are no discounts for payment made by credit cards. Cancellation penalties and other restrictions apply.